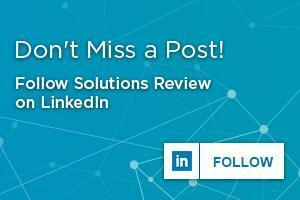 Below is a directory of Disaster Recovery as a Service (DRaaS) vendors, tools, appliances and software solutions including company overviews, links to social media and contact information for the Top 17 providers. If you would like a printed version of this page including complete solutions profiles and a list of the top questions to ask in an RFP – Request for Proposal, click here for a Free PDF. Acronis provides backup, disaster recovery, and secure access solutions. The vendor also offers data protection across any environment, including physical, virtual, cloud, and mobile. Its flagship product, Acronis True Image, delivers backup, storage, and restoration capabilities. Acronis’ Disaster Recovery as a Service (DRaaS) solutions address IT requirements for backup, disaster recovery, and archiving. Additionally, the vendor offers 24 hour support to customers worldwide. Acronis was founded in 2003 and is headquartered in Switzerland. 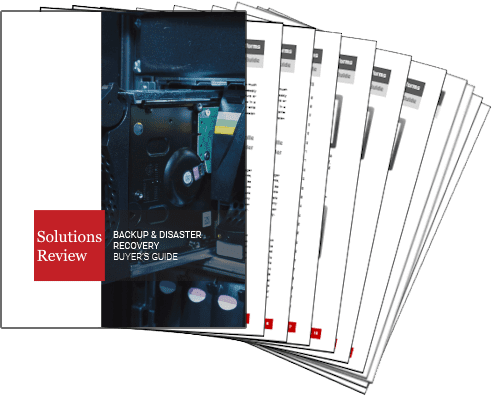 Download this Directory and get our Free Disaster Recovery as a Service Buyer’s Guide. Acronis serves small and medium sized businesses. The company was issued 70 patents in the last year, with many of them focusing on unified data protection. Existing users have reported a lack of proactive monitoring and notification when servers are properly replicating. However, Acronis’ implementation teams have been praised for their assistance and willingness to approach solutions creatively. Axcient provides cloud-based disaster recovery and data protection to businesses of all sizes. The vendor’s Disaster Recovery as a Service (DRaaS) product, Axcient Fusion, can mirror all of an organization’s technological assets in the cloud as a means to replicate data centers on-demand. Fusion also allows users to access and restore data from any device, failover IT systems, and virtualize the business from a deduplicated copy. Axcient is based in California and was founded in 2006. Axcient offers copy data management that enables many uses of replicated data. These include backup, data recovery, data archival and testing and development. Solutions Review also named Axcient one of five business continuity management vendors to watch in 2018. While the service does not offer recovery for physical machines, Axcient has the rights to the intellectual property of DirectRestore for granular application recovery. This technology came to the vendor through an acquisition in 2014 and Axcient now licenses it to other businesses in the data protection marketplace. Bluelock is an Infrastructure as a Service (IaaS) company that specializes in cloud computing and disaster recovery. The vendor offers Virtual Cloud Computing by way of IaaS where users have the option to subscribe to their chosen amount of computing, storage, and bandwidth capacity. The company provides Disaster Recovery as a Service (DRaaS) capabilities as well. Bluelock’s DRaaS solution supports complex environments in addition to protecting sensitive data as a means to mitigate risk. The company is based in Indiana and was founded in 2006. Bluelock assists users in setting realistic expectations about disaster recovery though consultations. These consultations shine a light on the differences between technical capabilities relating to replication and human actions during a disaster. Additionally, the vendor’s onboarding, training, and run book development processes are strong, as shown through its Recover Assurance program. Although Bluelock only has two recovery centers, they are located away from major NOAA disaster zones. Carbonite offers cloud and hybrid business continuity solutions for small and mid-sized businesses. The vendor also provides end-to-end data protection capabilities that include high availability, endpoint protection and workload migration. The provider’s Disaster Recovery as a Service (DRaaS) solution, Carbonite Recover, allows users to pay as they go, and replicates critical systems from the user’s primary environment to Carbonite’s cloud. Carbonite is headquartered in Massachusetts and was founded in 2005. Carbonite is one of few vendors that provide recovery of non-x86 workloads formally integrated as part of its DRaaS offering. The provider was also consistently considered as an option for prospects, even if it was not ultimately chosen, per Gartner’s research. The vendor offers monthly and annual pricing options. While Carbonite is currently in a transitional period in terms of the user base it is targeting, the company has guaranteed service tiers with corresponding RTO and RPO based service-level targets. Databarracks provides secure Infrastructure as a Service, Backup as a Service, and Disaster Recovery as Service solutions. They are member of the Cloud Industry Forum, as well as ISO 27001 certified for Information Security. Databarracks’ DRaaS solution offers flexibility and scalability, and there is no need for organizations to duplicate their hardware. The provider is based in England and was founded in 2003. Databarracks is currently developing additional tools and methods to improve user experience. Included in these services are BackupChecks, which are integrated with Asigra and Kazoup to allow file services and archiving for Software as a Service data sources. In addition, the vendor recently released its Cyber-DRaaS solution, which increases security with features such as detection, reporting, and recursive scanning. While Databarracks does not support Unix or applications like SAP or Oracle, multiple statements from Gartner Peer Insights showed that customers found the services provided to be exceptional. Druva delivers data protection and management for the cloud era. Druva cloud platform is built on AWS and offered as-a-Service; delivering accessible, scalable and autonomous enterprise data resiliency. Druva customers can reduce costs by eliminating the need for hardware, capacity planning, and software management. The provider also offers the first and only cloud-native Software as a Service (SaaS) backup and disaster recovery solution in the market. Customers are also able to break down data silos, streamline governance, and gain insights to drive business decisions. With Druva’s solution for backup, archival, and disaster recovery, organizations can meet business continuity SLAs, disaster recovery compliance, and audit requirements. Druva’s DRaaS solution makes it easier and more cost-effective for users to protect all of their data across complex infrastructures. The provider’s solution is recommended for small- to mid-sized companies and offers a pay as you go pricing model. Reviews from Gartner Peer Insights show that users find Druva Phoenix easy to use, implement, and install on data center applications, while also being consistent during operations. Druva also provides 24/7 customer support, as well as a library of training materials. Evolve IP is a Cloud Services provider. The vendor offers organizations a unified option for cloud services such as virtual servers, virtual desktops, disaster recovery, IP telephony, unified communications, and contact centers. Evolve IP’s Disaster Recovery as a Service (DRaaS) suite supports fully managed disaster recovery, self-service recovery, and cloud backups. Additionally, members of the Evolve IP team are on the advisory boards of Veeam and Zerto, showing a connection to leading disaster recovery providers. The vendor is based in Pennsylvania and was founded in 2006. Evolve IP’s approach to services beyond DraaS, such as unified communications and an industry focus, is holistic. The provider’s service offerings are articulated well with respect to varying DRaaS types and backup options. Evolve IP has five recovery centers in the United States, which serve the majority of its users. While the company’s pricing is slightly above average for simple virtual environments among its peers with fully managed offerings, Gartner’s customer surveys showed that the Evolve IP’s organizational focus and additional managed services capabilities were reasons to select it over other products. IBM offers a range of technology and consulting services. In addition to its Disaster Recovery as a Service (DRaaS) capabilities, the vendor also offers predictive analytics, software development, and systems management. IBM’s DRaaS solution provides continuous replication of critical applications, infrastructure, data and systems for rapid recovery. IBM is headquartered in New York and was founded in 1911. IBM has a long history in the disaster recovery marketplace. The vendor has significant non-x86 workload and mainframe recovery experience, and has supported over 1,000 recoveries since 1989. IBM’s prices for complex fully managed services scenarios were slightly lower than competing vendors. IBM is also flexible regarding contract length (four months or longer) and size (two to 15,000 VMs). iland is a global cloud services provider. The vendor offers secure and compliant hosting for Infrastructure as a Service (IaaS), Disaster Recovery as a Service (DRaaS), and Backup as a Service (BaaS). iland provides cloud services from its data centers located throughout the Americas, Europe, Australia, and Asia. The vendor’s DRaaS solution, iland Secure DRaaS, allows for replication from virtual and physical environments. The provider is based in Texas and was founded in 1994.
iland provides users with direct access to Level 2 technicians. In addition, all iland engineers and support team members are certified for VMware, Cisco, Zerto, Veeam, and/or Carbonite DoubleTake. The vendor also has staff with expertise in DevOps and compliance. Users should be aware that while iland is not compatible with organizations that have immediate plans for migration to hyperscale public clouds, the vendor’s existing users praised its support, portal, and Zerto-based solution. Infrascale built the first data protection cloud to automatically failover and recover applications, data, sites and systems at the push of a button. The provider serves 50,000 customers and protects over one million devices worldwide. Infrascale’s Disaster Recovery as a Service (DRaaS) solution gives users the capability to choose the way they want to deploy failover for their organization. The vendor’s aim is to eradicate downtime and data loss when recovering from a disaster. Infrascale is headquartered in California and was founded in 2011. Infrascale typically serves companies with less than 50 servers. Infrascale DRaaS includes unlimited recovery testing and disaster declarations at no additional cost beyond the initial setup fee. Gartner Peer Insights showed that customers spoke highly of the ease of implementation, customer support, and price point. Users should also consider the level of training in best practices for backup scheduling that will be provided. Microsoft is a multinational company that develops, manufactures, licenses, supports, and sells a variety of software services and products. The vendor offers enterprise tools through Microsoft Azure, which include virtual machines, cloud storage, application service, and cloud backup. Microsoft’s Disaster Recovery as a Service (DRaaS) solution, Azure Site Recovery, provides coverage across Linux, Windows, VMware and Hyper-V virtual machines, and physical servers. The provider is based in Washington and was founded in 1975. Microsoft’s pricing for all Azure Site Recovery and data storage is based on actual utilization. Because recovery is available in every major Azure site, users have the capability to protect their data globally. The vendor has an international presence with 26 locations, including the United States, Canada, the United Kingdom, and Germany. While Azure Site Recovery’s setup process is complex, Microsoft is currently going through changes in documentation and support in order to improve its capabilities. Peak 10 provides cloud and IT infrastructure solutions, including colocation, private network services, and managed services. Cloud-based data storage and managed security are also key capabilities. Peak 10 has 16 data centers located across 10 cities in the Southeast and Midwest United States. The company’s Disaster Recovery as a Service (DRaaS) solution, Peak 10 Recovery Cloud, provides recovery of business-critical applications to reduce data loss in the event of a disaster. Users can choose from multiple tiers of recovery to create a custom solution. The vendor is based in North Carolina and was founded in 2000. Peak 10 has high levels of operational automation, which improves consistency in its service delivery. The vendor also has three tiers of RTO, which all feature Zerto-based continuous data protection. Offering three tiers allows users to create a solution that fits their financial needs. Though Peak 10 Recovery Cloud only supports virtualized workloads currently, users speak to the vendor’s more advanced, technical capabilities. Quorum provides instant backup, recovery, and continuity to small and mid-sized companies. The vendor also offers a series of appliance and hybrid cloud solutions. Quorum’s flagship product, Quorum onQ, is fully encrypted and available in three versions and can be used in any combination. The product is built on an architecture that the company refers to as “High Availability Anywhere.” This can combine cloud, local and remote in any configuration. The vendor is based in California and was founded in 2008. Quorum’s appliance can perform automated disaster recovery testing after snapshots in order to ensure recoverability. According to Gartner, the vendor offers complete recovery tools, especially in the use of the appliances when user requirements involve several small sites. While Quorum’s costs for implementations of fewer than fifty virtualized servers are higher than the average, existing users praise the performance of the devices as well as the company’s customer service and support. Recovery Point provides integrated business continuity and disaster recovery solutions. The provider also has a focus in cloud-based business resilience services. Recovery Point’s solutions include Disaster Recovery as a Service (DRaaS), off-site tape storage, managed hosting, and subscription-based hot site, cold site, and work area recovery services. Recovery Point’s DRaaS solution can be applied to any size requirement and supports hybrid solutions as well. The vendor is based in Maryland and was founded in 1999. Recovery Point has significant experience providing recovery services for non-x86 workloads and mainframes. The vendor’s private network infrastructure also functions as a national network hub, giving users the ability to cross connect to more than 700 WAN providers. While Recovery Point’s service availability is currently limited to the United States, the vendor provides enhanced Federal Information Security Management Act level protection to all of its users. StorageCraft provides backup, disaster recovery, and business continuity products for servers, desktops, and laptops. StorageCraft also offers system migration and data protection solutions. The vendor aims to provide reduced downtime and improved security and stability to enterprise organizations. StorageCraft also offers cloud services for disaster recovery through its partner channels. The vendor is headquartered in Utah and was founded in 2003. StorageCraft offers localized language support for German, French, Italian, Spanish, Portuguese and Japanese speaking users. The vendor requires high levels of training for partners to achieve Platinum partner certification. Partners speak highly to the ease of implementation and simplicity of the product. However, buyers should keep in mind that although the vendor will take direct end-user calls, partners are responsible for testing and executing during disaster recovery events. Sungard Availability Services (Sungard AS) provides managed IT services, information availability consulting, business continuity management software and disaster recovery. The vendor’s Disaster Recovery as a Service (DRaaS) solution supports hybrid systems and provides scalability. The provider has recovery locations in the United States, Canada, the United Kingdom, and Western and Northern Europe. Sungard also offers its own recovery locations in addition to Recover2Cloud using AWS. The vendor is based in Pennsylvania and was founded in 1978. Sungard Availability Services has an established track record of providing disaster recovery services, even during large regional disasters. In fact, the provider has supported more than 3,000 recoveries since 1990. While innovations for Sungard AS’s services are not presented to users consistently, the vendor uses automation to both provision cloud resources and manage the availability and usage of physical resources. Sungard AS has significant experience providing recovery for non-x86 workloads and mainframes, and offers additional support for application workloads through its Managed Recovery Program. TierPoint helps clients deploy disaster recovery, connected data center, and cloud solutions for their overall business continuity plan. TierPoint’s Disaster Recovery as a Service (DRaaS) combines features such as replication, cloud, and virtualization technologies, delivering a comprehensive solution that provides the capabilities needed to ensure critical data and applications are safe and secure. TierPoint’s DRaaS approach is based on a consultative partnership with each client in order to develop the solution that fits their client’s needs across diverse computing environments. The customized solution ensures resiliency for customer data, apps, and infrastructure, thereby minimizing the impact of unexpected interruptions. The vendor offers workspace recovery in some of its locations, as well as cloud and colocation solutions to enable hybrid IT and hybrid resiliency. Unitrends provides enterprise backup and continuity, as well as high-availability hardware and software engineering. Unitrends also offers several channel-driven recovery products. The vendor’s Disaster Recovery as a Service (DRaaS) solution provides built-in automated compliance tests and compares recovery testing results with users’ RPOs and RTOs. The Unitrends Recovery Series appliances also provide replication and orchestration, as well as automated recovery capabilities. Based in Massachusetts, Untrends was founded in 1989. Unitrends typically serves companies with less than 25 servers. The vendor offers free tools, such as its RTA Calculator, which can be downloaded before purchasing. Unitrends’ services are priced competitively, and include automated, monthly full validation tests, along with Recovery Time Actual (RTA) compliance reports. However, buyers may want to ask for details on how the vendor’s one-hour RTO guarantee is measured to ensure remedies are understood.